The Doors of Faith Orphanage in Baja, Mexico will soon be the recipients of St. Pat’s generous donations. 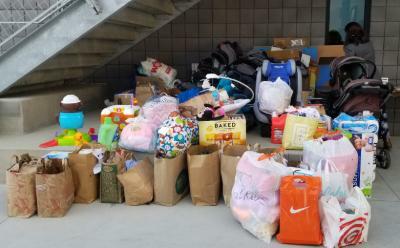 High chairs, strollers, clothing, and diapers were just some of the necessities that were collected over the 3 Day Drive. Thank you to everyone involved in this project – way to be the light.